I couldn’t agree more. I’ve found the majority of my fellow authors to be all that you said above and more. Like you, I used to only buy traditionally published books but changed that last year. 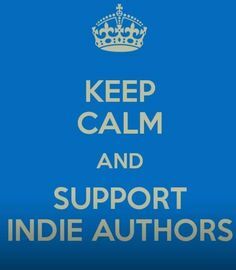 Since then I’ve read loads of Indie books, bought each myself, and promoted those I’ve enjoyed, which have been many. While I’ve loved every moment of the publishing journey it’s the supportive community that’s been the best and biggest surprise.